The goal of this course is to introduce the student to the SOLIDWORKS PDM (Formerly SOLIDWORKS Enterprise PDM) Application Programming Interface (API). 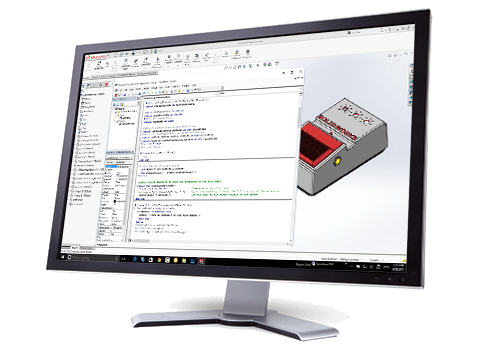 Using the SOLIDWORKS PDM API is a great way to automate tasks and customize SOLIDWORKS PDM. Just about everything available in the SOLIDWORKS PDM user interface is available through the API. The SOLIDWORKS PDM API is so robust and feature rich that it is impractical to cover every detail and still have the course be a reasonable length. Therefore, the focus of this course is on the fundamental skills and concepts central to successfully building SOLIDWORKS PDM applications. Once you have developed a good foundation in basic skills, you can use the documentation and abundant online resources to develop your application. May 28, 29, 30, 31 2019 12:00pm - 4:00pm - CST Virtual Class Hurry!